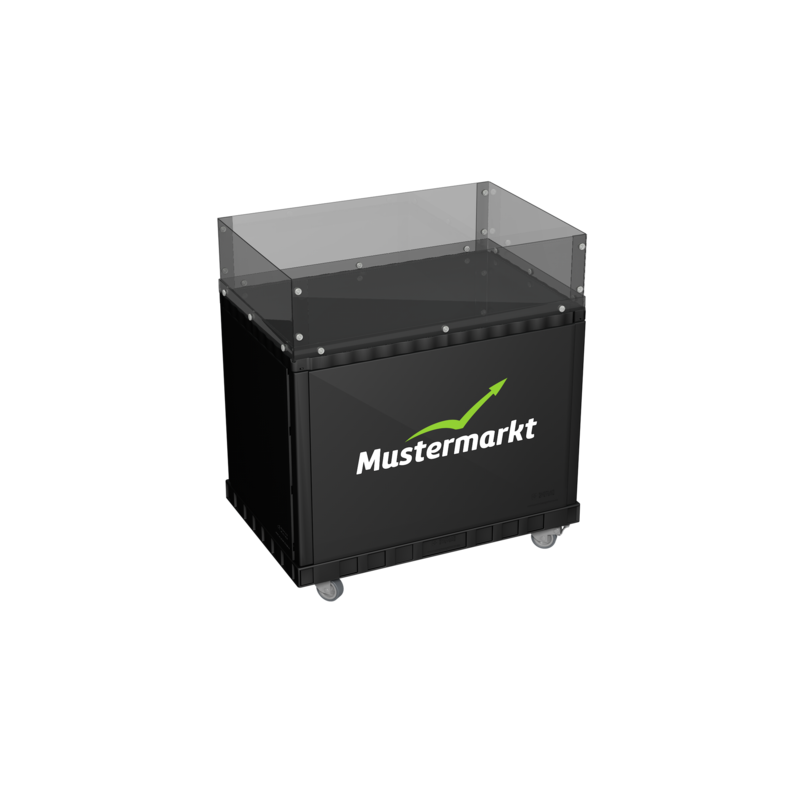 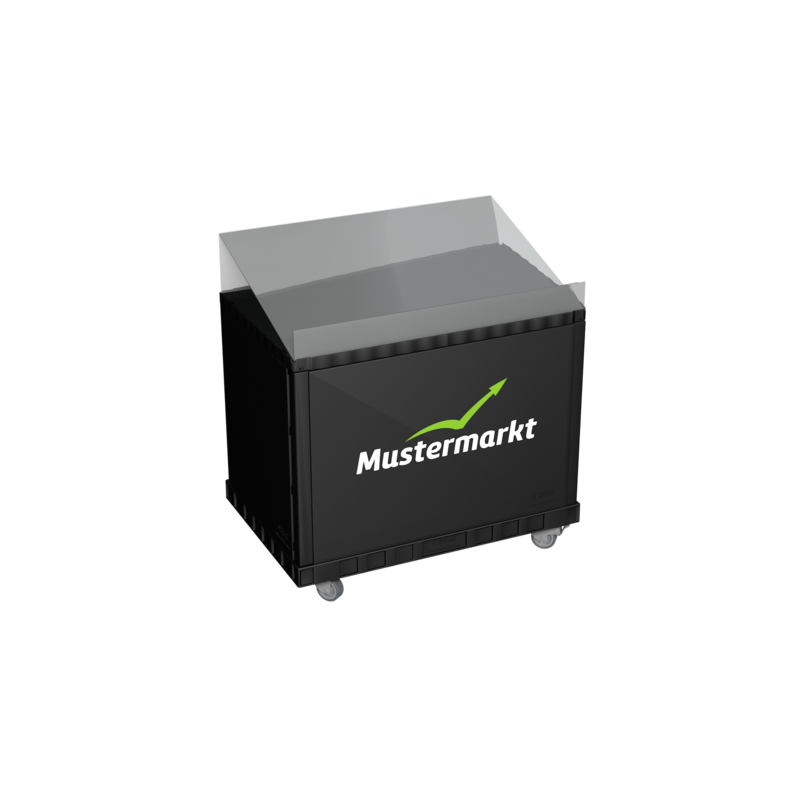 The Smart-Display, a sustainable merchandise pre­senter for the retail range with additional advertising space , is a particularly robust pal­let display, which can universally be used at the P.O.S.. For an easy transportation and sturdy use, it is solidly fixed onto a ¼-pallet. 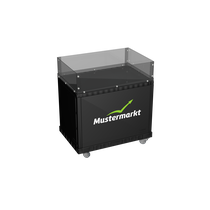 The display is made of PP-material, consisting of two long and two short sides as well as a lid with a raised edge that enables a quick assembling. 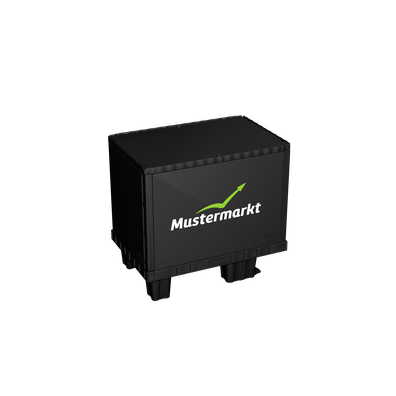 Due to the durability of the plastic mate­rial the Smart-Display can be used permanently. 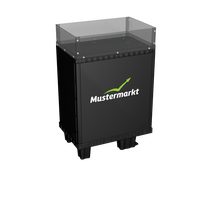 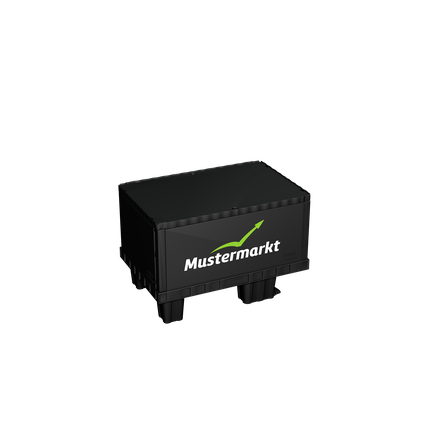 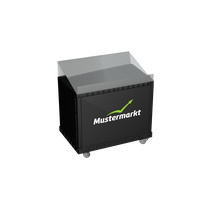 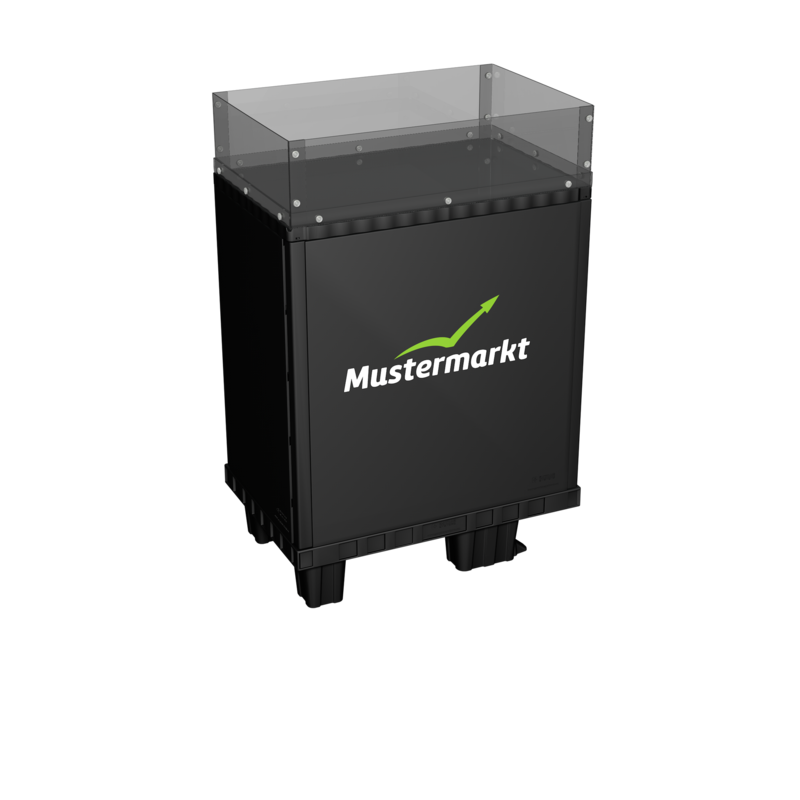 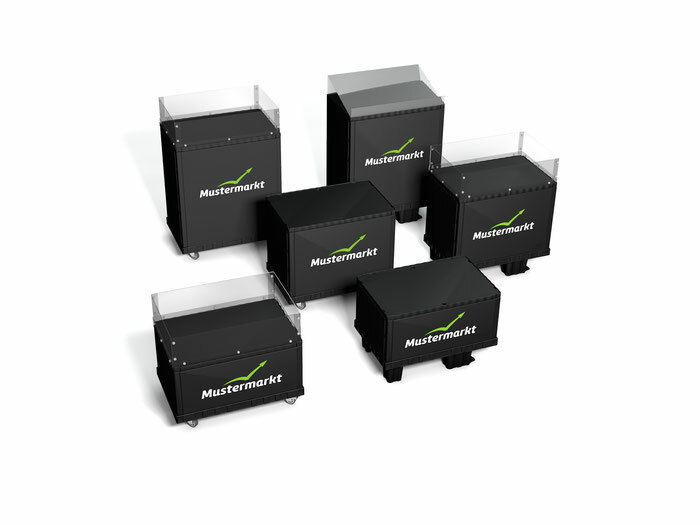 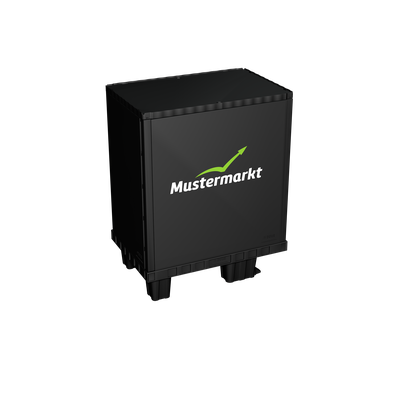 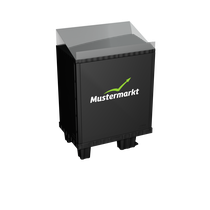 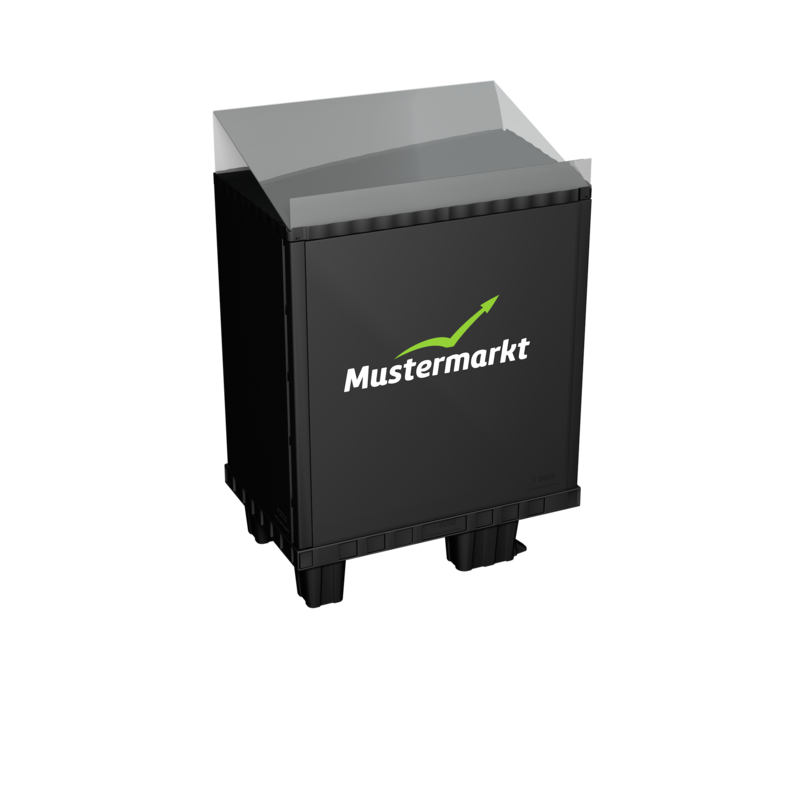 The Smart-Display is available in three different heights, 40 cm, 55 cm und 75 cm, with or without castors. 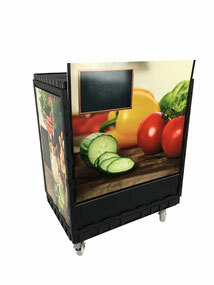 As latest accesories, we added slide-in modules, which could be desigend individually and bevels and chutes to present lose goods and fruits & vegetables.